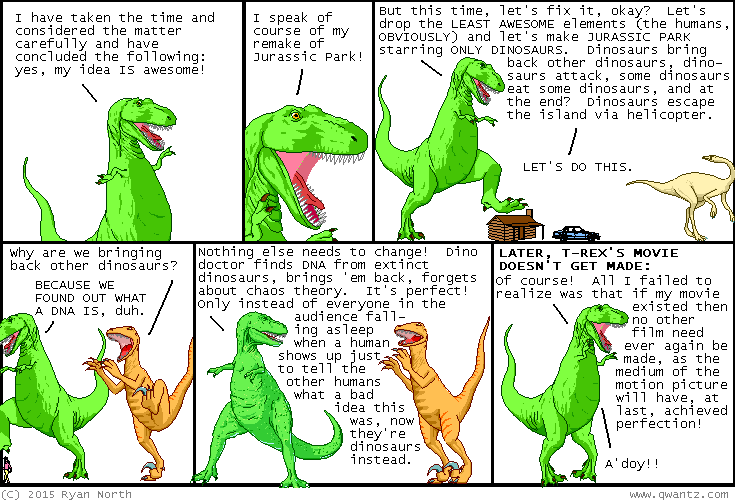 Dinosaur Comics - June 22nd, 2015 - awesome fun times! 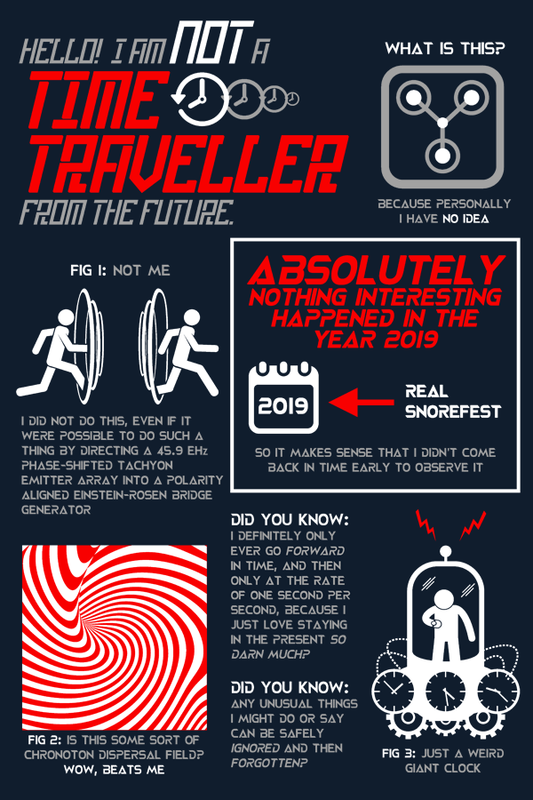 June 22nd, 2015: Are you a time traveller from the future? Yeah, me neither, I am definitely not that thing I just said. Here is a limited-edition shirt I made that explains how you are for sure native to 2015, just like everyone else! One year ago today: look around at today's kids. they're everywhere! what do they want? what do they eat? and what happens when that food runs out and they turn on us? ?